Catalog number: 75021 6875-2. Released first in a 12×12 box, later in a smaller book format. 1. Where Do I Go From Here? 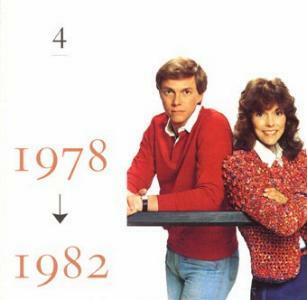 1991’s FROM THE TOP is the Carpenters’ US entry into box-set territory. 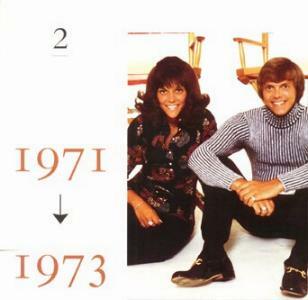 A full-career retrospective, this set was rather highly prized among Carpenters fans, since it gives insight into where the duo came from. In addition to the usual compilation fare, this set swerves away from the “greatest hits” territory and provides a meaningful look into some of the early days, before the A&M era. 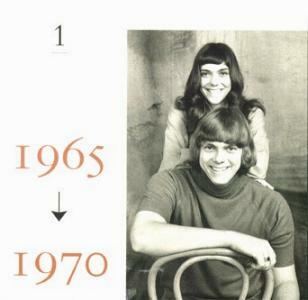 Presented for the first time here are early singles billed as Karen Carpenter from the Magic Lamp days, as well as some demo recordings with group names known as The Summerchimes and Spectrum – even a couple of instrumentals with the “Richard Carpenter Trio” featuring Karen on drums, Richard on keyboards, and Wes Jacobs on bass and tuba. Arranged chronologically, the four discs in the set are broken into yearly ranges: 1965-1970, 1970-1973, 1974-1978, and 1978-1982. Early copies of the box set were released in a 12×12 inch box with a large format book, and included the four CDs in their own jewel cases. When record stores complained that these did not fit into their displays, A&M re-released the set in a long-book format. Much of the familiar material is presented here in remixed form, many getting a remix for this set, with a few originals or special mixes of note: “Merry Christmas Darling” is the original 45RPM mix, “Top Of The World” appears for the first time on CD in its original album mix, and “Canta” is “Sing” in a Spanish/English version. 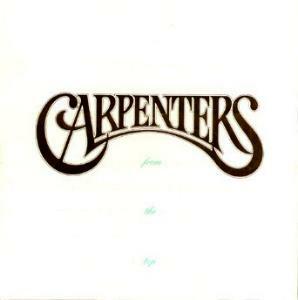 In addition to presenting the standard recorded fare of most Carpenters albums, this set also includes a number of radio recordings, commercial jingles and studio outtakes, along with a superb medley from their 1980 TV show MUSIC, MUSIC, MUSIC. Also included are two more tracks from Karen’s solo album, slightly tweaked, and making their first appearance here. * Regarding “Ave Maria”, both FROM THE TOP issues use the 1990 remix, but the thinner reissue has the track at its normal speed. 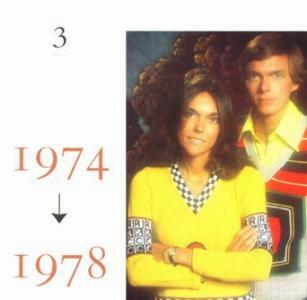 According to Richard Carpenter, when FROM THE TOP was first issued in the 12×12 format, “Ave Maria” was inexplicably mastered at the wrong speed, making it a half-tone higher than it should be. It was fixed for the book-sized reissue.